Our firm was established in 1996, we specialise in lockouts, safes, cash machines, commercial doors and executing warrants for utilities and the authorities. The founder, Alan Morgan, started doing bench locksmithing as a traditional apprentice in the eighties, before graduating to be journeyman for one of the country's top safemen. 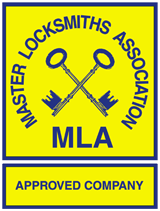 Now a Master Locksmith, he gives training seminars for locksmith associations. Years of experience and dedicated record keeping have built up a huge database so we can resolve any issue with your safe, lock or overall security. Every week we are called out to problems and lockouts on behalf of other locksmiths. Having the skills and specialist equipment to overcome faults and lost keys/combinations on high security locks and containers. Our passion is non-destructive lock picking and manipulation, but where necessary even damaged locks can be opened with neat drilling and professional repairs. We have a fantastic working relationship with many national service providers and retail chains. Approved for Police, MoD, HM Customs and Banks all our staff are vetted regularly. Absolute discretion and confidentiality are assured in all aspects of our work. Please note we own the domain www.amlocks.com as a shortening of Alan Morgan Locksmiths. Save this number 07976272132 - Locksmiths in your phone right now. Be prepared just in case you, or a friend, becomes locked out. Accepted file types: jpg, gif, png, bmp. "Alan Morgan is recognised as one of the leading safe engineers and locksmiths in the industry. We have relied upon Alans expertise on numerous occasions throughout the years and will continue to do so. His prices are very competitive and we are more than happy to recommend Alans services to our clients when we require work to be covered. Richard Breslin"